One of the most remarkable conversions recorded in Jewish history since the conversion of that zealous Pharisee, Rabbi Saul of Tarsus on the Damascus Road, is that of Rabbi Daniel Zion, the former Chief Rabbi of Bulgaria and later the Chief Rabbi of Jaffa, Israel. Perhaps no other conversion in modern times has rocked the Jewish world as has his. 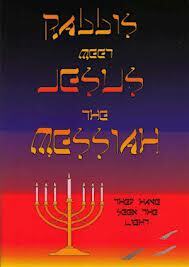 He has perhaps been the subject of more controversy in synagogues, temples and churches than any other personality. Scores of articles in both Jewish and Christian periodicals have been written about him. He has been cursed and blessed, denounced and praised. From as far as Australia, India and Africa have come inquiries concerning Rabbi Daniel Zion. 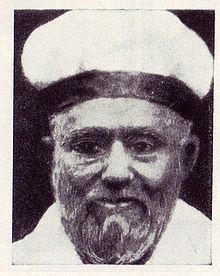 When he first openly declared that he was saved, through putting his total faith and trust only in the blood atonement of the True and Living, Almighty God, the Creator of the heavens and of the earth, the Lord Jesus Christ, the One and only True Messiah of Israel, he was immediately discharged from the responsibilities which he fulfilled, being the Chief Rabbi of Jaffa, Israel, and following this, came a siege of persecution.